Kala was born and raised in Fayette, AL. In 2012, she graduated from the University of Alabama at Birmingham with a bachelor’s in Respiratory Therapy. After several years working in this field, Kala decided to pursue her dream career in medical aesthetics. In 2017, she attended Body Logic School of Esthetics and received her Aesthetics License. Prior to joining Seiler Skin in 2017, Kala worked for five years as a Registered Respiratory Therapist at Children’s Hospital of Alabama, where she discovered her passion for helping patients achieve their health goals. Kala is a Certified CoolSculpting Applicator, and undergone extensive further training on medical-grade skincare and aesthetic treatments by Dr. Seiler and his cosmetic laser training company. Kala is a Medical Aesthetician at Seiler Skin. 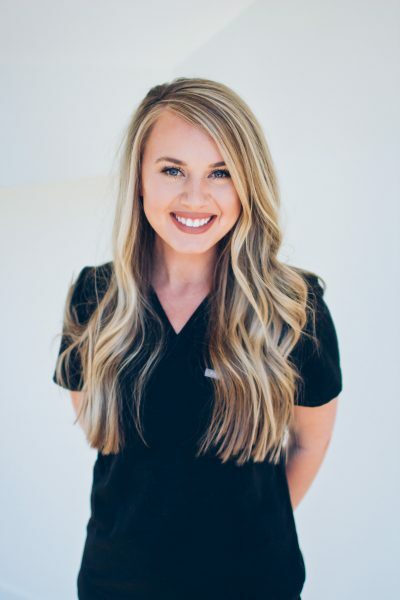 She works closely with our patients to identify and recommend medical-grade skincare products, and performs many of our aesthetic treatments, including chemical peels, HydraFacials, Vampire Facials, Lipo B12 shots and Dermaplane. Kala also assists Dr. Seiler on more complex laser and injectable treatments. Kala lives in Helena, Alabama, and enjoys spending her free time with her husband and two Mini-Australian Shepherds.